What an eclectic year 2018 was for new music. From early career indie artists to high profile rock bands, it’s all here in my top 10 albums of 2018. So how do I judge a great album? To me it has to have one or a few of the following qualities; it takes you on a musical or personal journey, transcends boundaries and transports you to another place. I love how albums give you context of a larger experience or message. The best part about album listening is that it encourages you to stop what you're doing and sit with a good book, magazine and daydream away. My top 10 albums of 2018 represent my broad taste of music genres. Equally, I have a soft spot for each and everyone of these records, therefore I haven’t rated them highest to lowest as they all deserve the number 1 spot. So, without further ado here they are. To view the links and and play the albums you will need a Spotify account. Enjoy lovelies! Leon Bridges- Good Thing Sometimes referred to as the modern day Sam Cooke, Leon B’s new album bends towards pop while keeping the warmth of classic R&B in his melodies and songwriting. Courtney Barnett- Really Feel I view Courtney Barnett as the next generation Courtney Love, Patti Smith and PJ Harvey all in one. She has a knack of turning lackadaisical lyrics into punk tragedies that are melodic not grating like some punk music. Teskey Brothers - Half Mile Harvest For the lovers of southern soul/blues music, there is something very special about this killer band with a killer sound. Every track on this album is a killer too. Dan Parsons- Sunday Morning Cinema OMG, I was in a vinyl shop in Melbourne when I heard Dan Parson’s album playing and I was instantly taken by it. If you like indie/folk country these tracks will have immediate appeal. Even if you’re not sure have a listen as I think you will be impressed. 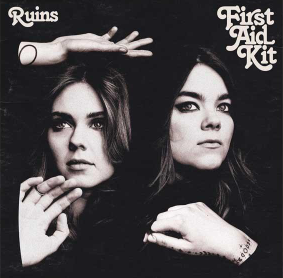 First Aid Kit- Ruins If you’re already a fan of the these Swedish indie-folk darlings, this album will not disappoint. It has some new sounds but manages to stay true to their unique quirky style. Tash Sultana- Flow State Major girl crush! This album is just pure genius and if you haven’t caught onto her yet it’s time! Emily Wurramara -Milyakburra If you want to be transported to a magical dreamtime place listen to this stunning album by this incredibly talented Indigenous artist. Star is Born Soundtrack The best part about this movie was the soundtrack and ok I’ll admit it was also seeing my favourite male actor up close on the big screen playing a rock star. However, even when I attempt to remove my dominant unconscious bias towards Bradley Cooper there is no denying Lady Gaga’s songwriting and singing on this soundtrack is top 10 material. This album was rated in the top 10 best US rock albums for 2018 even though some other music critics slammed it. I’m just happy Snow Patrol are back and have produced what I think is a beautiful album. They sound a bit like The Killers which is a good thing. 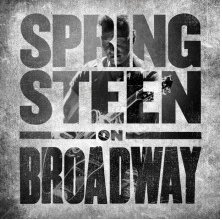 Bruce Springsteen- Springsteen on Broadway﻿ Springsteen on Broadway is a very intimate performance by The Boss where he uncovers some of his internal struggles and stories behind his iconic songs. You can watch it on Netflix or listen to it on Spotify . The Boss shows us again how it’s done! As one year of music, life and love closes a new and exciting one awaits. Bring on more fabulous music in 2019 that supports diversity, gender equality and independent artists. Thanks for reading. Please share your favourite 2018 albums with me in the comments below. I hope you take some time out to listen to one of these albums from start to finish…. As it’s the only way to do it.